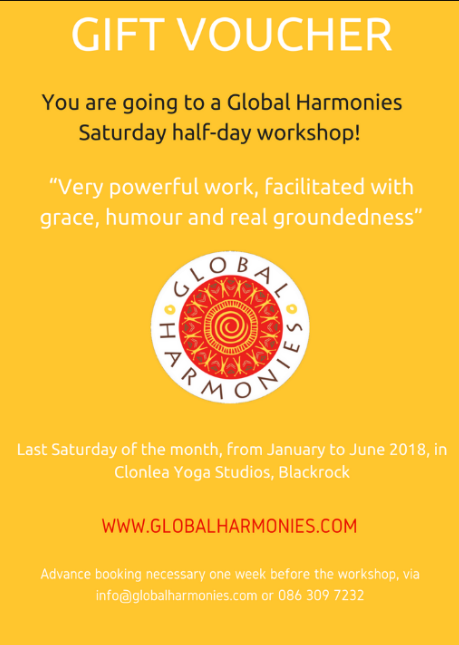 You can now purchase a gift voucher which is redeemable for any Global Harmonies event. 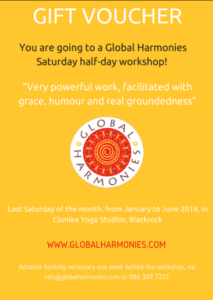 A Global Harmonies voucher is a unique gift for someone who maybe you feel would benefit from exploring the singing and voicework to bring harmony to their lives. It is lovely to receive a Zero Waste, experiential Christmas or birthday gift, which isn’t clogging the Earth up with more stuff!